No need to cover up your classic look when a cold front blows in. 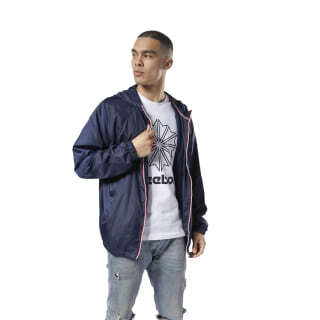 This men's vintage-style windbreaker jacket zips up for a layer that stays true to old-school vibes. 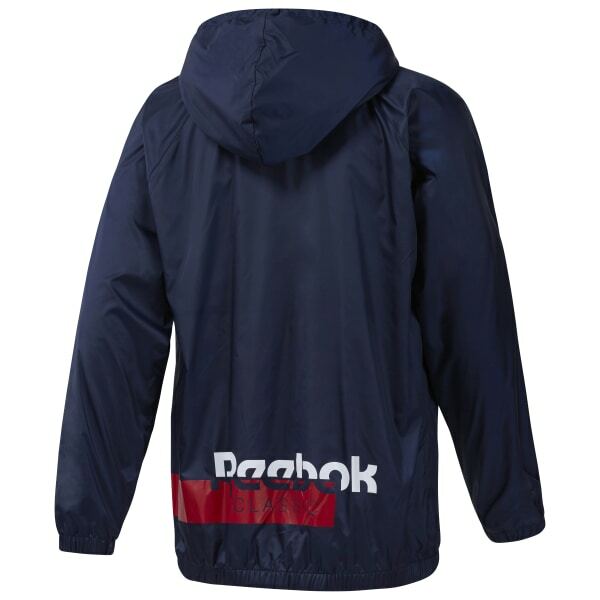 Hooded for full coverage, a contrasting zipper adds color to the front while an authentic Reebok read brings up the rear.